2. of or going to the root or origin. 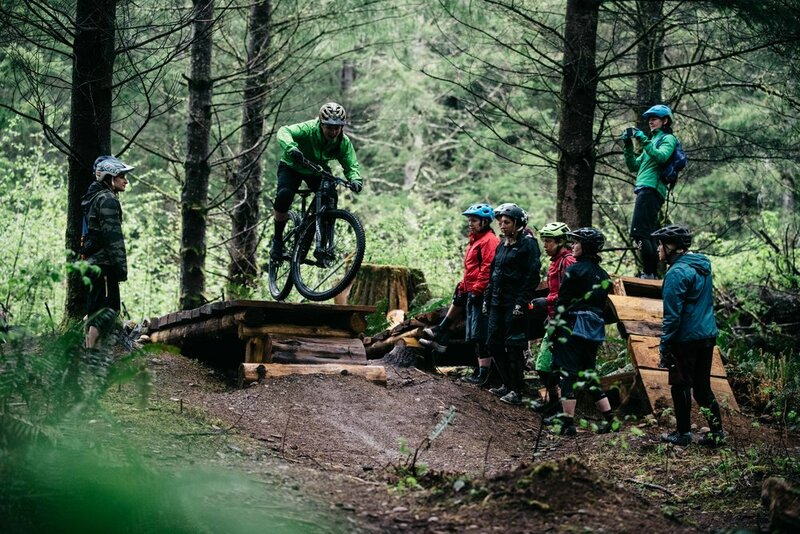 Radical Roots MTB Instruction offers mountain bike skills instruction around North America but primarily in the Pacific Northwest. The company is rooted in Bellingham, WA where roots are aplenty and the riding is totally radical. Our mission is to get more people riding and loving bikes by offering custom private and small group lessons with our radical approach to teaching and progressing our students. We tailor our lessons to meet our student's riding goals and on the session ideas page you will see a number of skills and types of lessons that students can choose from when they hire us. We have taken our experience from over 17 years of instructing to hone a very fun, safe, and effective approach to teaching students. Our progressive approach starts students in a low-consequence setting giving them time to focus on proper body position, timing, and execution of fundamental and dynamic skills. Then we methodically add the next level of complexity for each skill so that our students are powered by the confidence of these successful successions. It's this approach that gives our students a foundation of Radical Roots that "giant trees" of shred* can be built upon. Your success is our success and while we don't take many things in life very seriously - this we do. Deep-rooted instruction which offers discounts for students who book 4 or more lessons at once as a way to fully commit to the learning process. This is a popular option for students new to the sport or new to skills instruction. Guiding services for riders who just want to ride and explore the plethora of world class trails here in the majestic Cascadia. 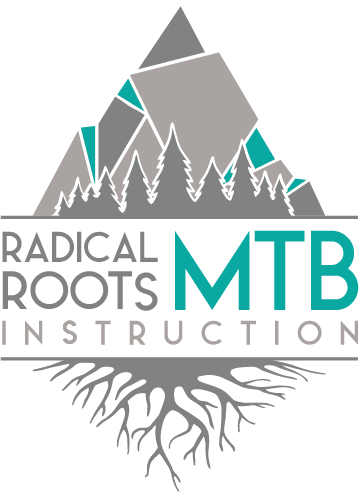 Radical Roots MTB Instruction was started by master coach, Angi Weston, as a way to pursue her mission to get more people riding and loving bikes. She has been coaching mountain bike skills since 2002 and is Level 3 certified through the Bicycle Instructor Certification Program (BICP) making her one of the most qualified and experienced mountain bike coaches in North America. In the nearly two decades that she has been mountain biking she has dabbled in racing downhill, Super D, enduro, cross-country, cyclocross, and coaster-brake klunkers, but it has always been coaching that brought her the most enjoyment and fulfillment. Her reputation for being a fun and effective coach means she gets invited to travel to many women's skills clinics around the country so be sure to check her Tour Dates & Locations to see if she is coming to a trailhead near you. Teaching is a great passion of hers and it shows in her enthusiastic and patient approach. You get the idea that you want to learn something - whether mountain biking is new to you or you have been at it for years. Maybe you just want to get smoother and be more playful on your bike or find ways to charge more confidently and ride with intention. Regardless of your goals, we are excited to hear what sparked your interest in seeking instruction so that we can tailor your lesson to those goals. Take actions to grow the seed that was planted. Sure you can learn some things by watching tutorial videos or reading books but getting specific drills and critiques to move you forward is only possible by having a highly experienced coach in-person. We take the guess-work out of learning and give you fuel to progress like you never would have imagined before. We use a progressive approach, starting in a low-consequence setting that allows students to focus on body position, timing, and execution of fundamental and dynamic skills, methodically adding the next level of complexity for each skill. So your progressions are safe and fun. Practice makes progress and we give you the tools to practice correctly and deepen your understanding of how to mountain bike.